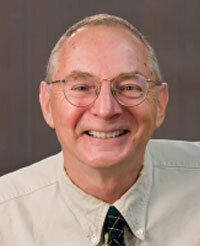 Jeffrey Roth is Research Professor of Pediatrics in the College of Medicine, University of Florida. He is Program Director of the Family Data Center, a multidisciplinary group of faculty and staff that conduct risk assessment, outcomes research, program evaluation, fiscal impact studies, and cost-benefit analyses for local, state, and national organizations. He is part of the CALDER Florida team. Dr. Roth currently supervises data collection and reporting for two Florida statewide programs serving infants and toddlers: the Regional Perinatal Intensive Care Centers for premature and sick infants and Early Steps, the state’s Part C program for children birth to three diagnosed with a developmental delay or disability). He also directs an evaluation of Florida’s Medicaid Family Planning Waiver program. He has collaborated with Principal Investigator David Figlio on studies examining the influence of birth conditions on the subsequent academic and behavioral performance of students in Florida’s elementary schools.